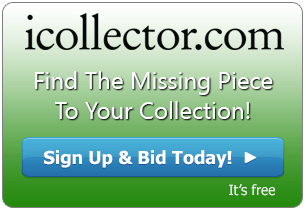 iCollector.com has brought one of the great document preservers in the country to their auction platform for a significant auction taking place all week until January 5th. Cohasco Inc has put together over 360 lots of historical documents spread over nine centuries of history. 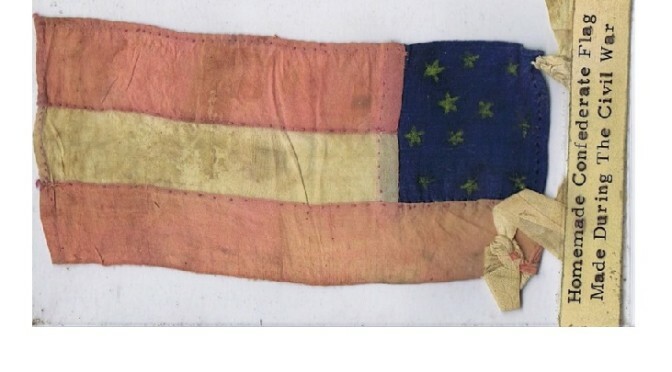 The auction has an incredible array of categories of original historical documents, rare books and manuscripts, autographs, letters, newspapers, and historical photographs. There is also ephemera, a selection of coins, material from postal history and more. Over 20 important subjects are covered including Americana, Aviation, Black History, Colonial documents, The Revolutionary War, The Civil War, Jazz, and Numismatics. In addition, there are maps and atlases, material from Medieval times, religious works, naval and military documents, and old letters. Documents from both World Wars, a selection of Presidents and politics are represented, as well as some transportation pieces are up. All of this and more is up on the auction block in a timed auction ending on January 5th at 8PM Eastern Time. Lot 802 is a highlight piece and is a Civil war date Lincoln Autograph Album. As quoted by Cohasco Inc, ” Autograph album compiled early 1863, with magnificent, uncommonly large “Yours truly, A. Lincoln” centered on the first leaf after gilded title page, in cocoa brown on ivory. Such is the superiority of this album’s Lincoln signature that it was the sole illustration on outside back cover of the momentous Roy P. Crocker Collection of Important Lincolniana by Sotheby Parke Bernet, N.Y., 1979 (original catalogue accompanies); this album was lot 220 therein. Lincoln followed by some 183 signatures of his wartime Cabinet, Congressmen, Senators, and other luminaries. Full mocha suede, deeply blind-embossed with floral spray motifs, “Autographs” gold-stamped. 5 x 7 3/4, all edges gilt, matching title page in metallic gold ink, “Autographs / Hayes & Zell, Philadelphia,” on white clay-coated.” A full detail of this amazing find with a full provenance is available in the online catalog. Bidding is opening on this one of a kind piece at $7000. An excessively rare atlas, considered the finest for it’s time, is up for auction at Lot 1104. This is an astonishing piece and worth considerable attention. As described in the online catalog, “A landmark work in cartography – and American publishing, A General Atlas containing distinct Maps Of all the known Countries in the World…, published by Fielding Lucas, Jr., c. 1823, Baltimore’s earliest successful map publisher, and founder of the first stationer in the U.S. Folio, 12 x 15, polished crimson calf with intricately blind- and gilt-stamped ornamentation. Typographically extravagant title leaf, copper-engraved by Jos. Perkins of Philadelphia. Hand-colored frontispiece plate of “Comparative Height of the Principal Mountains…,” with detailed key and text inside. In all, 104 items cited in Table of Contents, of which 98 are full-size, blind-paneled maps, with original hand-watercoloring, in exquisitely delicate shades of pink, green, yellow, and blue. Many individual state maps double-page.” Bidding opens at $3750 and this historical atlas is a must have for collectors. All documents and items are up for auction online right up until the 8PM closing time om January 5th, 2016. All items have full descriptions and many have photos posted online for inspection. Registration is simple and bids can be placed on any item instantly. Cohasco, inc and iCollector.com are ready to answer any questions from prospective bidders and happy to provide exceptional service in this truly historic auction.